Marina Amenities: What Do You Need? Marinas are not just pilings to tie your boat off to. They can be a summer get away, a liveaboard community, a place for childhood memories, or a weekend home. Finding the right marina means figuring out what your needs and tastes are, and doing a little dock to dock shopping around to ensure a good fit. There are some very basic things every standard marina should do and do well. Docks need to be in good shape. There is nothing worse than a rusty nail in a favorite flip flop or tripping on buckling or uneven dock boards. Finger piers need to be stable and easy to step on to from your boat. I’ve been on some finger piers that were like pirate sobriety tests, walking a wobbling plank. A marina should have ample parking and easy access between your car and the dock. There should be clean bathrooms and ideally showers and laundry, too. The water coming from the faucets should be clear, the toilets should flush, and toilet paper should always be available. Once you find a handful of clean, maintained marinas in your area, the fun can begin. Some marinas are like resorts, complete with nice restaurants, club rooms, and a happening bar scene. They have manicured lawns and work hard to keep the place on the up and up. The upsides to a place like this are obvious: amazing amenities and service. The downsides can be a high price tag and a low tolerance for stepping outside the lines. It’s a good idea to walk the docks, talk to current slip holders, and get a good idea of the day to day scene. Some marinas are more of a working yacht yard. These are places with dry storage, Travelifts, and often a well-stocked chandlery with all of the spare parts you might need. There are often marina trade businesses of every kind right there on site, which means you can get things fixed a lot faster. The downside is that working yards are often not terribly pretty or good places for pets or kids to run around. Around the Chesapeake there are many mom-and-pop style marinas. They are small, well run, simple, and family oriented. They may not have a Tiki bar or swimming pool or a rigger on site, but they keep things affordable, running well, and friendly. Some folks are looking for a place where they can let their dogs run around. Others need a playground and plenty of green space for their kids. Most people are hoping for marina WiFi or dockside cable TV. Many boaters summering on the Bay want a swimming pool. Cruisers usually want a dinghy dock to launch a kayak, paddleboard, or inflatable. Liveaboards like having picnic tables or a community gathering spot, barbeques, and someplace to get their mail. It’s a good idea to make a list of things you might want in your dream marina, and then call and visit with that in mind. No place will have every wish, but it’s good to know what you want. Amenities are important, but people can make or break a marina experience. The best part of marina life is often the camaraderie with your fellow boaters. 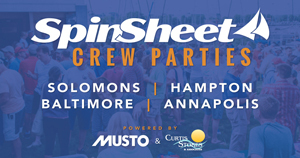 Being able to shoot the breeze and share a drink with other people who love sailing makes the season sweeter. If at all possible, walk the docks and chat with people who already keep their boat there. I meet people every spring who are marina shopping at my marina, and I am happy to talk with them about what life is like at our place. Do people there help watch over your boat when you’re away, adjusting lines if necessary? Do slip holders get together for happy hours or group meals? Is it noisy there? These are all good things to ask on a visit. Management matters, too. Have a talk with the dock master and see how they are with customers. What do they do if slipholders bend the rules? Is there any kind of slipholder loyalty incentive for boat owners that come back season after season? Do they work with long time slipholders to keep them year after year? It takes a little research, visits if possible, as well as the effort to ask around to really find a good marina for your needs. Once you find a match, it pays off with a home away from home that will keep your boat and you happy for many seasons. 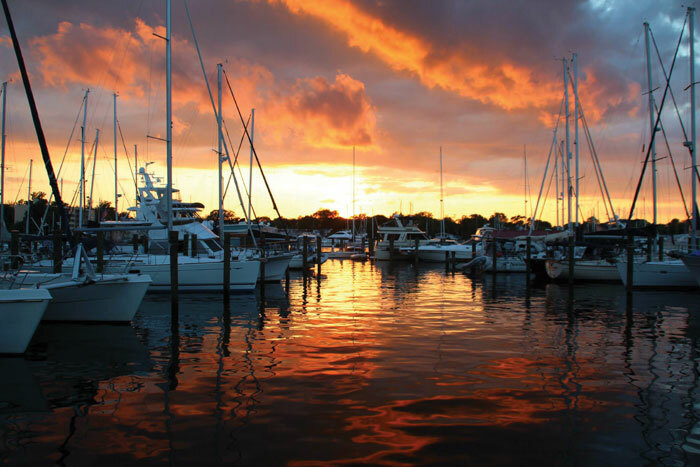 Find you perfect marina in our online marina directory, powered by Snag-A-Slip.